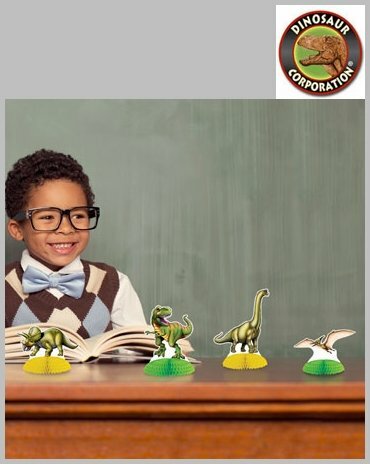 Decorate for a future paleontologist's birthday party with our cute mini Dinosaur Centerpieces T-rex, Triceratops, Stegosaurus, Velociraptor, Parasaurolophus, Brachiosaurus and Ankylosaurus. 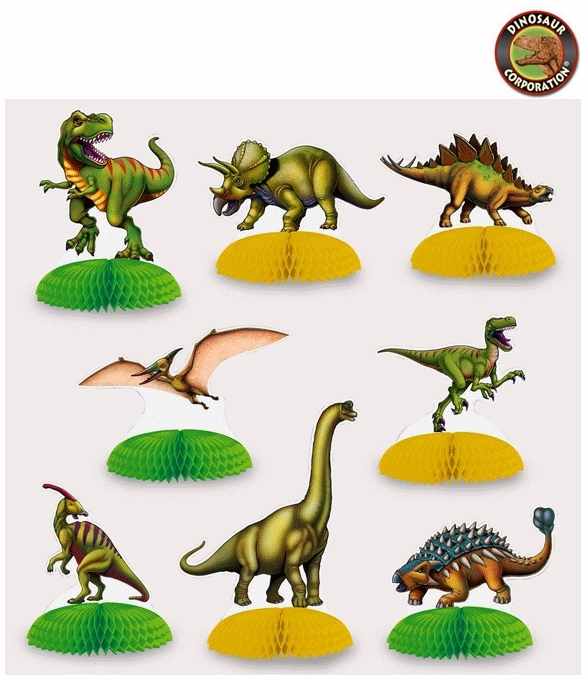 Each dinosaur centerpiece has a green or yellow honeycomb base. Easy to assemble by opening the honeycomb base and clipping the ends together with the included paperclips. 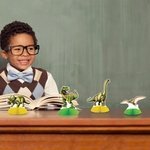 Our mini Dinosaur Centerpieces are perfect for any dinosaur birthday party, to use as a classroom teaching aid, or where dinosaurs fit your theme. * Stands between 3 1/2 inch to 6 1/2 inch high.